Is it too late to sign up for health insurance? 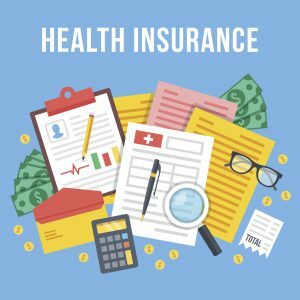 The Open Enrollment Period for the Health Insurance Marketplace (also known as the Affordable Care Act or Obamacare) ended on December 15th, but some people can still sign up now. If your old plan left the Marketplace for 2018, you can still sign up for health insurance. In Wisconsin, this includes plans from Anthem, Health Traditions, and Molina. This also includes individual plans that ended from other companies that are still in the Marketplace. The deadline to sign up is March 1st! You can also still sign up for health insurance if you were impacted by the 2017 hurricanes and moved from Puerto Rico or the U.S. Virgin Islands to a state that uses healthcare.gov. The deadline for this is March 31st. Immigration: Got citizenship or lawful presence in the U.S. Low-income: There is no deadline for BadgerCare Plus and people can apply any day of the year. This is Wisconsin’s Medicaid Program for low-income adults, parents, and children. Covering Wisconsin has an easy to use how-to sheet that lists all of these options, available for download at www.coveringwi.org/learn. Need help signing up for health insurance? There are a variety of community organizations that provide free, in-person help. Call 2-1-1 to find local help or contact [ADD LOCAL ORGANIZATION AND CONTACT INFORMATION]. While farmers markets are popular in Wisconsin, some markets struggle with profitability or the ability to grow and support more local farmers. New research from the University of Wisconsin-Madison and the University of Wisconsin-Extension points toward ways Wisconsinites can help their local farmers markets.